Official CW description and preview images with spoilers for the Riverdale episode "Chapter Fifty-Four: Fear The Reaper"
UPDATE: The CW has begun releasing some promotional photos for “Fear the Reaper!” Only two so far, so hopefully more are coming. Check them out below. 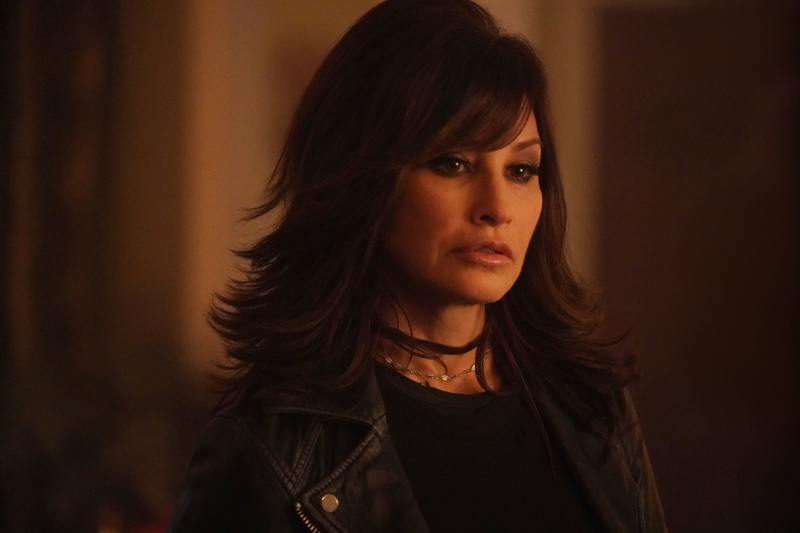 Riverdale -- "Chapter Fifty-Four: Fear The Reaper" -- Image Number: RVD319a_0023.jpg -- Pictured: Gina Gershon as Gladys Jones -- Photo: Shane Harvey/The CW -- ÃÂ© 2019 The CW Network, LLC. All rights reserved.